This comfortable apartment has been renovated and decorated in a modern fashion to contrast with the traditional looking neighborhood. With 2 bedrooms, a balcony and all the commodities you need, here you´ll find the perfect spot to relax and re-energize while exploring the beautiful city of the seven hills. 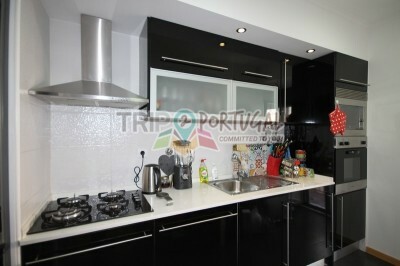 There´s a fully equipped kitchen at your service so you can prepare your all time favourites or experiment with localy sourced Portuguese ingredients. 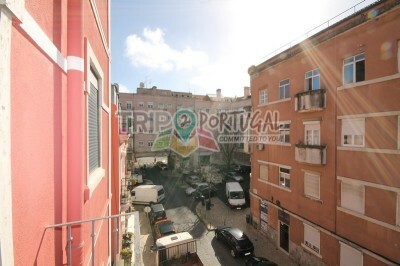 Penha de França is a neighborhood located atop one of the 7 renowned Lisbon hills. 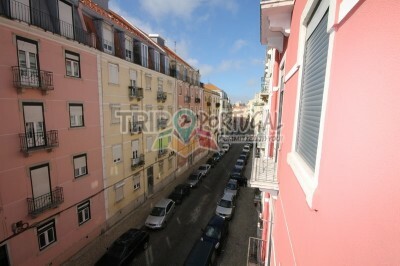 This makes it one of Lisbon´s great belvederes, with astonishing views over the city and Tagus river! Once an area of farms and vegetable gardens where many Lisbonites went for a stroll, majestic "Solares" where also built there by noble families. You can still find some of those buildings nowadays. The apartment is located on a residential area with plenty of services nearby: Supermarkets & Local Farmers Market / ATMs & Banks / Pharmacies / BUS / Subway / Local commerce. Gostei muito do local, exemplar atendimento . Perto de tudo que era necessário. Foi uma imersão a vida de Lisboa. Esperienza assolutamente positiva. Marta è disponibilissima e molto chiara nelle spiegazioni. L'appartamento Penha de Franca è molto comodo anche per 6 persone e dispone di ogni accessorio e di ciò che si necessita anche per un soggiorno di vari giorni. La metro è raggiungibile a piedi ed è a pochissime fermate dal centro. Il quartiere è comunque pieno di negozi e servizi di ogni genere (pasticcerie, panetterie, farmacia, supermercato etc). Assolutamente consigliato! Thank you very much for your hospitality! I hope to visit another time Lisbon as soon as possible and I hope to find some of your apartment. Excellent appartement with a lot of facilities. Close to the metro. Good Location. Great host! the aparment is very nice and comfortable. easy to get to. neighborhood very calm. the host was helpful. 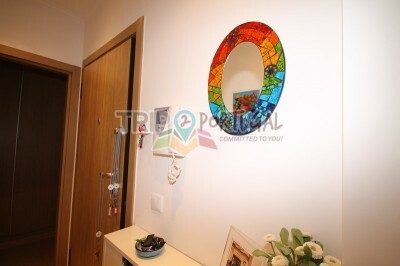 O apartamento é muito bom. Moderno, limpo, confortável e bem localizado. Marta nos recebeu muito bem. Recomendo. Obrigada por proporcionar conforto para nossa estadia em Lisboa! Great experience. Location is close to the bus and relatively close to the train. Everything was clean and the apartment looks better live than in the pictures. Overall I was very pleased with my stay. Overall a great experience staying at this Airbnb. I would recommend that apartment. ;) Interior was even better than on a pictures. Very convenient for four persons with separate bedrooms and bathrooms. The apartment is comfortable, clean, cozy. It has all the amenities for a pleasant stay. 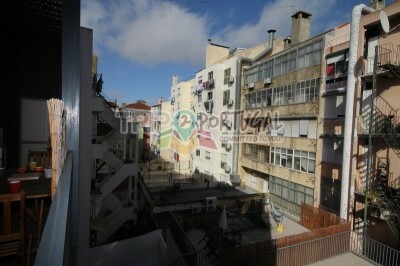 It is located in a quiet location, near metro, buses, taxi, shops. I recommend to families and friends! We thank Martha and our company for the accommodation and the wonderful stay in Lisbon. Apartamentul foarte bine dotat. Paturile foarte confortabile. Komfortowo i mile spędziłem czas w Lizbonie. Dogodna lokalizacja na pograniczu starej i nowej części miasta.Obiekt czysty, nowoczesny i komfortowy z bardzo dobrym wyposażeniem. Spokojna i bezpieczna okolica. Wiarygodny opis obiektu.Bardzo dobry kontakt z gospodarzem obiektu. 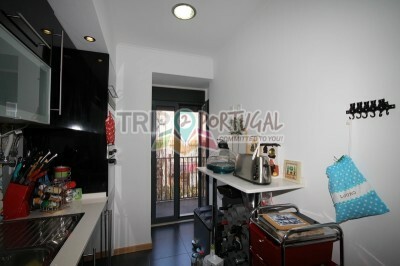 An excellent very well equipped apartment in a quiet neighbourhood. The main attractions spots aren't that far away by walk, but you could use the public transport or even a taxi which isn't that expensive especially if there are like 2-3 people. All the main attractions and the best restaurants in and around have been listed out. Marta checked me in and she was extremely helpful. Everything from check in to check out went smooth and easy. 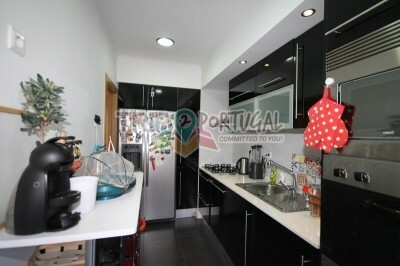 I would definitely recommend this apartment and Trip2Portugal for an amazing stay in Lisbon. 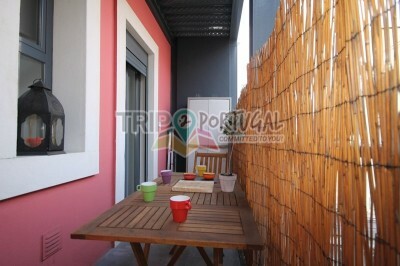 Very nice, comfortable and big apartment with everything what you need for short stay. Very good standard. Flexible time for checking out - I really like it. My family including teenaged doughter, too. All in all we loved this place and it's very possible we will come back if we go to Lisbon again. Everything was excellent, really nice apartment, very cool decoration. Comfortable beds, very quiet area and easy to find the buses or just walk around. Lots of nice restaurants close by too. Prima locatie, rustig, uitstekende bedden, hartelijke ontvangst door gastvrouw. Zeer punctuele, accurate opvolging door verhuurverantwoordelijke/gastvrouw. Superou minhas expectativas. Foi tudo muito bom! 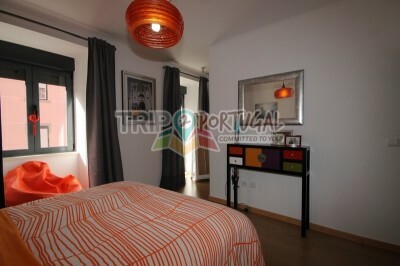 The apartment was as expected, in a great location, with excellent transport locations. The apartment was bigger than we realised from the photos which was a bonus. Trip2Portugal was great with communication, which is what you would expect. 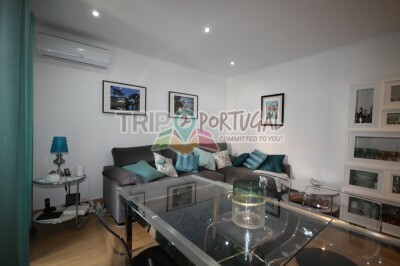 I would definetley use Trip2Portugal for future stays in Lisbon. The apartment has everything you need to have a great vacation. From fast internet to Cable television, fully equipped kitchen and much more! Thanks again Trip2Portugal! 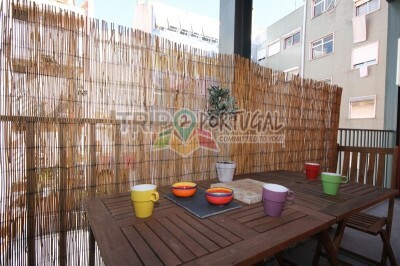 Un apartaento para descansar comodamente y disfrutar al maximo de Lisboa. El apartamento en si no le falta detalle, la casera fue super amable y puntual, el punto es bueno alejado del centro per en 5 minutos en coche ya estas en el. Ademas en la zona hay tiendas y cafeterias para poder desayunar y hacer la compra sin problemas. Un 10 en todo. Recomendo! 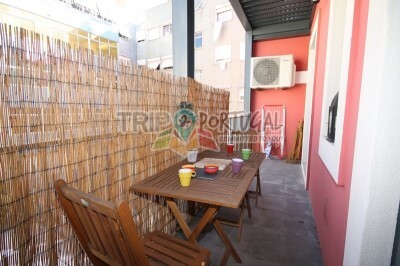 Apartamento confortavel, limpo e boa localização! Recepção ótima e prestativos! Nous avons passé un excellent séjour dans cet appartement. Un accueil très chaleureux et bienveillant. L'appartement est remarquablement propre, équipé à souhait (Beaucoup de vaisselle, lave-vaisselle, machine à laver, deux salles de bain, balcon, trousse à pharmacie,climatisation...) et pleins de petites attentions. Il est très bien situé à proximité des principaux quartiers (en métro) dans un lieu paisible où on dort très bien. Nous le recommandons fortement. 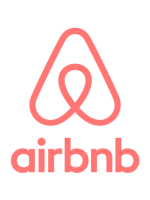 We needed to book the apartment very short-term because our first reservation was cancelled, so the communication was easy and fast. Nuno checked us in and welcomed us and handed over a paper with recommandations, the flat was clean and we had towels and sheets for 4 people though we were just 2. The house is calm, the kitchen is equipped with everything needed, the balcony is perfect for a dinner in the evening. We would definitly come back, even with two more persons! Thank you Nuno! 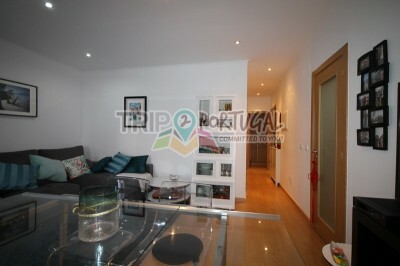 A spacious apartment with a very comfy bed, pleasant décor and design, a handy lift and lovely balcony.